If you have been charged with driving while intoxicated (DWI) in North Carolina, you face harsh penalties and a permanent criminal record that could have long-term consequences on your life. Because of this, you do not want to just plead guilty and accept your sentence. You need to do everything that you can to fight the charges or have them reduced to a less serious offense. One powerful means of doing this is to raise challenges to the results of any field sobriety tests that you took at the time you were pulled over by the police. Horizontal gaze nystagmus. With this test, an officer is testing the person’s ability to smoothly follow an object from left to right and looking for involuntary jerking of the eye. Walk and turn. The walk-and-turn test requires a person to take nine steps from heel to toe in a straight line and then turn around on one foot and walk back using the same procedure. One-leg stand. A person is required to stand on one foot while counting until the officer tells him to stop. During the test, the officer is checking for imbalances. Field sobriety tests are standardized tests with specific guidelines on how they are to be administered that has been set by the National Highway Traffic Safety Administration (NHTSA). If you can challenge these tests in your DWI case, you may be able to show that the police did not have probable cause to arrest you or administer BAC tests. At a minimum, raising challenges to the field sobriety tests may give your experienced criminal defense attorney bargaining power to enter into a favorable plea agreement for you. Unreliability. Although field sobriety test guidelines have been developed by NHTSA, this does not mean that the test results are reliable. In fact, some studies show that they are not completely trustworthy in determining intoxication. Your attorney may need to retain an expert witness to support this defense. Improper administration. The NHTSA guidelines on how field sobriety tests are to be administered are extensive, and the officer may not have followed them properly. For example, the officer may not have given you the test in the proper environmental conditions if he did not have you take the test on a non-slippery surface. If he gave you tests other than the standardized ones, this could be grounds for a defense as well. Officer experience. 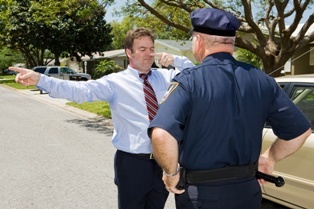 Given the detailed requirements of how to conduct field sobriety tests, the officer must have training and experience to administer the tests properly. This may be another way to challenge your test results. Medical conditions. There are many medical conditions, medications, and psychological conditions that could lead to inaccurate field sobriety test results. For example, an inner ear imbalance could affect a person’s balance. A neurological imbalance can make it impossible for a person to pass the horizontal gaze test. Due to other physical limitations, a person may be unable to walk heel to toe or in a straight line. These are just a few of the medical issues that your attorney may be able to use to argue that your test results were inaccurate. An experienced criminal defense attorney will have the knowledge and skill to identify the challenges that you can raise to your field sobriety test as well as develop other defenses to the DWI charges that you face. At Browning & Long, PLLC, we have years of experience fighting for the rights of our clients facing DWI charges as well as having the added advantage of being former prosecutors. To learn how we can help you, schedule your free consultation by filling out a contact form.